Body of missing real estate agent found in shallow grave | Whats Happening? LITTLE ROCK, Ark. 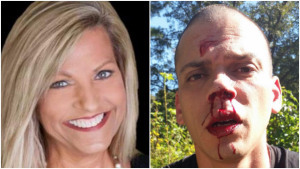 — Arron Lewis, the suspect in the abduction and slaying of Arkansas real estate agent Beverly Carter, told reporters Tuesday that he pleaded not guilty to the charges only because his lawyer told him to. Carter’s body was found in a shallow grave near Cabot, about 20 miles northeast of central Little Rock, the Pulaski County Sheriff’s Office said early Tuesday. Asked if he would have pleaded guilty even facing the death penalty, which the sheriff’s office said prosecutors will seek, he nodded in agreement.